Every year, towards the end of January, when the majority of the country takes a public holiday, a couple of Sunny Coast fellas throw on their blue Bonds singlets, pull their balaclava’s over their face, and celebrate with a couple of cold ones, basking in the glory of their hard work, and absolutely insane musical concepts. Dead Kelly have done it again, upping the ante, and releasing the brand new belter - ‘Butchered with a Boomerang’. 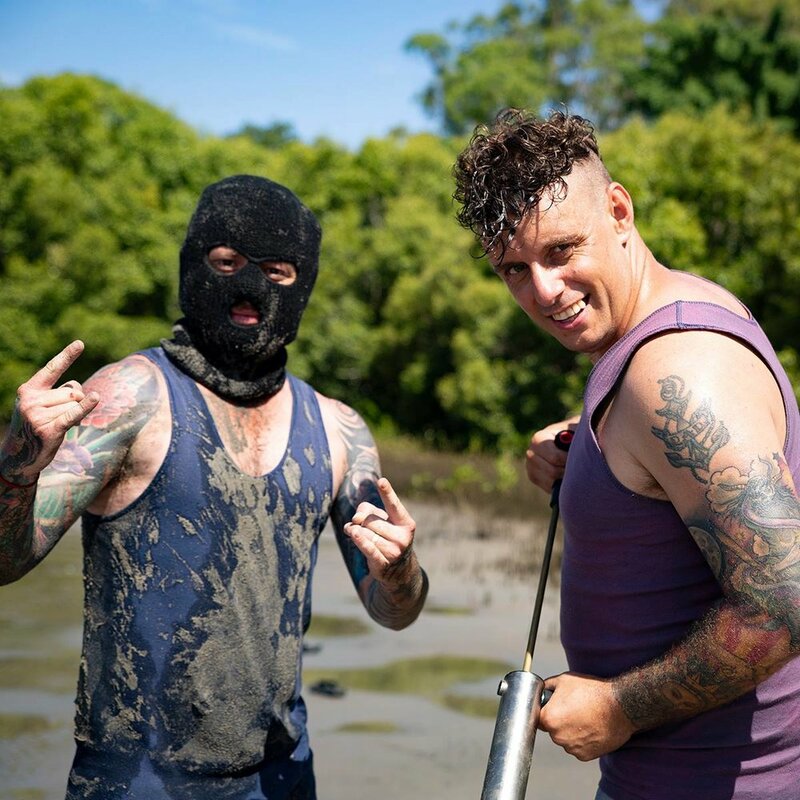 This time, they’ve enlisted some story-telling devices, and had a little help from Young C*** Kelly - AKA Matt Young from King Parrot. The video’s already racked up over 49,000 views on their Facebook post, and nearly 2,000 views since being released on Saturday, and hopefully is the first taste of the next album. Also, the first release after Stanley Knife’s unfortunate accident which cost him his left index finger. Watch the video and you’ll see this hasn’t slowed him down. As usual, Dead Kelly’s material contains explicit lyrics and video content, and is not for the easily offended.